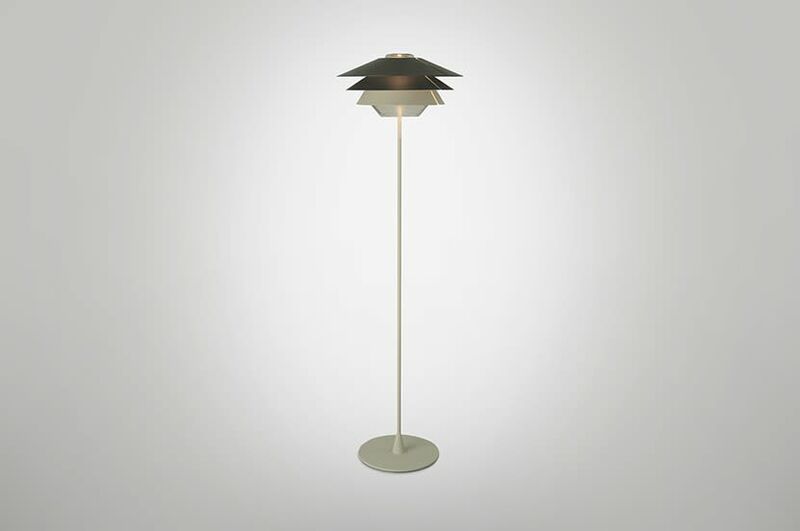 Floor lamp in blown glass equipped with three detachable conical reflectors, making it possible to adjust the lighting effect as desired. The glass in a cognac-coloured finish is combined with two reflectors in matte beige textured finish and one in matte copper finish, while the glass with a grey finish comes with reflectors in khaki, grey or beige finishes, all of them textured matte. Grey textile cable. The multidisciplinary agency from Berlin e27 with Tim Brauns, is recognized by the intelligent and sustainable solutions in the design areas where they work. The high functionality of the objects joined to the uniqueness of the technical solutions, make the designs of e27, timeless and daily usable objects. Clear example of this, is the collection of Overlay where the user changes the effect of light with a simple gesture as remove the upper rings from the luminary .